Stellina Hotel is a modern design hotel ideally located in the heart of Skiathos town in a small distance from the harbor. 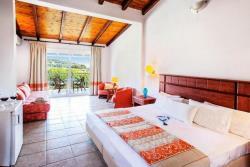 It is located in an ideal place for an unforgettable holiday in Skiathos. It is made of rock and wood materials that nature itself so richly provides and it has so perfectly become a part of the beautiful surroundings. The environment of Stellina hotel will be great, the gardens in combination with the pool and its distance from the road and the other buildings make a wonderful retreat for stimulation and relaxation in the town of Skiathos. Stellina Hotel is considered as one of the most comfortable hotels in Skiathos, it features 80 contemporary design guest rooms with all modern amenities, an outdoor swimming pool with sunbeds, a cocktail bar, a restaurant and a gym. 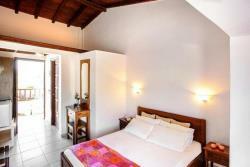 All rooms are outfited with: Free WiFi Internet, T.V, Refrigerator, Air condition, Music Balcony, Bathroom – shower, Daily maid service, Parking, Phone, Sea view or Mountain View. 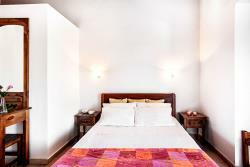 The accommodation at Stellina Hotel is a wonderful experience. The gardens along with the pool and of course, the right distance from the road and the traffic make Stellina Hotel a pleasant resort for rest and relaxation in the city of Skiathos. Free use of the laptop with Internet connection for internet surfing. In the dreamy atmosphere created by the unique location of Hotel Stellina and under the distinctive sound of rustling trees that you can find only in Skiathos, a unique garden has been created that offers relaxation of both body and spirit. 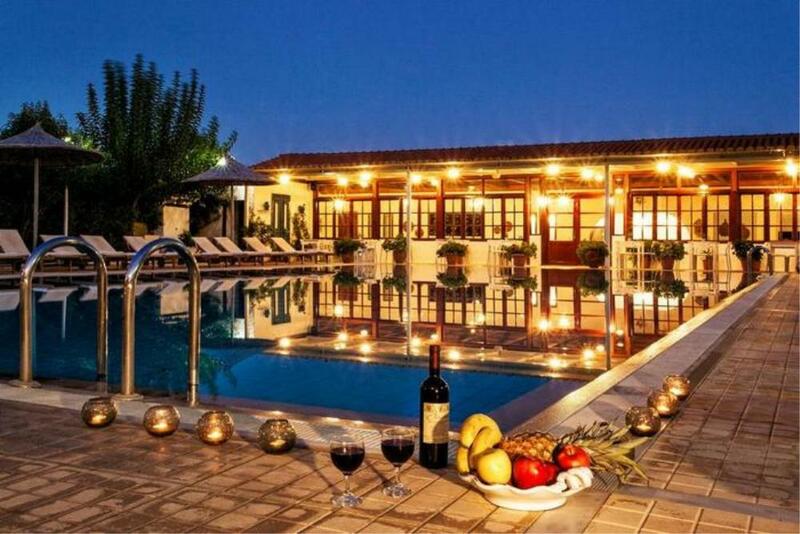 The garden, combined with the refreshing pool will make you feel peace and stress-free. The comfortable loungers and the shady umbrellas will be your best friends during the sunbathing. Treat yourself or share with your companion, a calming and revitalizing dive in our pool under the bright Greek sun. And if you get hungry the restaurant is here to offer you a unique meal. On every beach of the island you can enjoy water sports such as Water ski, Jet Ski, Windsurfing, water rings and parachute. Skiathos Diving Center after strenuous efforts managed to obtain permission for diving in Skiathos. So, the visitors who have the necessary qualification will have the opportunity to explore the magnificent depths of the island. The diving centre is located at the main port of Skiathos. 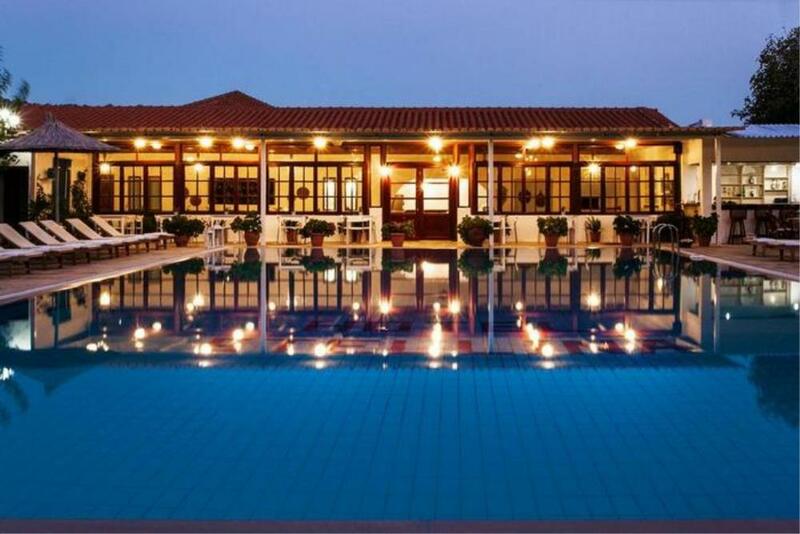 Apart from some hotels that have their own tennis courts, in the center of the island there is Skiathos Tennis Club, with four modern tennis courts and a pool. Skiathos Riding Center is located at Koukounaries. The riding school will give you unique moments, riding up on the highest peaks of the mountains and through impassable trails. The Monastery of Panagia Kounistra. It is approximately 10 km. away from the town of Skiathos. Access to the monastery is easy, since the paved road will bring you to the door of the monastery. It is approximately 3.5 km. away from the town of Skiathos, in Agalianos area. Friends who love cycling can choose among many routes with different level of difficulty each. Bicycle rental shops are numerous, while prices vary depending on season and length of rental. Of course, the use of the bicycle is a healthier and certainly more economy solution for the traveler who wants to visit the rest of Skiathos beyond the town and to come closer to nature and the countryside of the island. Beaches in Skiathos are well known through the world not only for the clear and crystal waters but also for the stunning wooded hillsides that "hugging" them. It is said that there are about 60 beaches all over the island of which the best known are: Koukounaries, Big and Little Banana, Agia Eleni, Aselinos, Troulos, Ayia Paraskevi, Kanapitsa, Vromolimnos, Kechria, Megali Ammos, Achladia, Lalaria, Mantraki etc. The castle was built on a giant rock in the 14th century, around 1360, and it is located in the north side of the island, about 15 km. away from the town of Skiathos. Because of piracy, the people of Skiathos left the Byzantine township, which was in the place that the town of Skiathos is today and built the medieval village of Kastro, at the northern end of the island. As the fortress was inaccessible from the sea and the entrance was only possible with mobile wooden bridge, ensure residents protection. Alexandros Papadiamantis is a great novelist who was born in Skiathos on March 4 1851 and died on 2 January 1911. In his first steps as a simple translator he worked in newspapers and magazines. He also began to write short stories that made him famous. At the same time published novels like "The Immigrant," "The Merchants of Nations" and "The Gypsy Girl". Aleandros Papadiamantis is the glory and pride of Skiathos island. His house is on the main street near the port, while his bust is in front of the Bourtzi entrance stating his philosophical epigram. Bourtzi is a small peninsula, which separates in two the port of Skiathos and in the past, was a fortress. The fort was established by the Gizi brothers who conquered Skiathos in 1207. It was fortified with battlements and turrets and on the right and left of the gate there were two round towers. The height of the wall, however, it is impossible to determine from the ruins. There is a wide variety of restaurants and taverns on Skiathos where you can taste French cuisine to traditional Greek dishes. The island is not popular for some food specialty, but you can find the well known Skopelos cheese pie. There are some local sweets which you can buy at the port. The nightlife of Skiathos has nothing to envy from the big cities or the most popular Aegean islands. In the old harbor of Skiathos town are many bars that have pillows on the benches and stairs and you can enjoy a coffee or a drink in a cozy atmosphere.